This refers to the growing problem where students from “BME” or “BAME” backgrounds are less likely than their white peers to get first or upper second-class degrees. This effect persists (at varying levels for students from different ethnic heritages) after you take into consideration socioeconomic background, entry grades, and a host of other factors. The Black attainment gap, out of all the equity issues relating to ethnicity NUS have highlighted, is the most clearly defined via large-scale research. The research that proves that higher education institutions can make a difference on the attainment gap, a study of over 650,000 students and adjusting for many more than the above factors, is over a decade old. Black students are now slightly more likely to go into education as an undergraduate than their white peers. This is one area where work on widening participation has worked, but it masks further issues around parity for Black students, including stratification in the sector between students who commute to local universities, and those who move away for university. Black students are still less likely to go to the institutions that are considered “top end” and have consistently higher earnings for graduates than their peers. This is where the admissions at my previous institution, Cambridge, and also at Oxford, are a key issue, especially as certain colleges within those institutions have recognised and attempted to address the barriers, while others have not. There are also huge racial disparities in progression to academia. This is compounded by the lack of parity in admissions, but additionally affects students intersectionally: Black African women are woefully underrepresented in research and academic positions, for example. Beyond a lack of role models, this in turn impacts on one of the other key issues if you wanted to make change on the attainment gap. Curriculum is not fixed. It should be developed as our understanding of the world develops, and as research in universities finds new knowledge. Researchers are developing a profound understanding of the lasting impact of colonialism and empire, and yet this work is not being applied across all universities to decolonise curricula and enrich our knowledge with Black voices and powerful, intersectional knowledge. Often where curriculum co-creation and decolonisation could make the most impact, academics are unwilling to engage with students and fellow staff on making change. This unwillingness to develop curricula, make change and incorporate new knowledge is compounded by structural changes to the sector that discourage long-term thinking. Students are taught by academics on precarious contracts which give them little opportunity to innovate, thanks to a broken funding system rejected by students. The funding system also creates risk-averse, short-term approaches in institutions – and was highly criticised by the Treasury Committee of Parliament for creating a situation where ensuring student numbers, not quality of degree course, is incentivised. 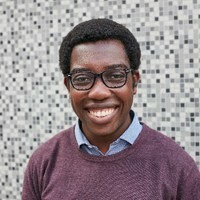 It is positive that the government, Office for Students and bodies such as Universities UK are now recognising that work on race equity in the context of the Black attainment gap is the pressing priority NUS and researchers have highlighted, but it has taken too long to get to the point of action. Ethnicity in HE is a bigger issue than just Oxbridge admissions: racial injustices, such as the clearly defined Black attainment gap, are issues that the whole sector has shied away from accepting and tackling head-on. This is the key issue around race in higher education. When students tell our institutions and our governments that there is a problem, we should be listened to, and action, by our institutions and the structures in the sector that support them, should be taken. At the Open University, we have moved away from referring to an attainment gap, and instead refer to a degree awarding gap. Language is important and this shift emphasises the need for the University to change, rather than working out how to ‘fix’ the student. A small step but a crucial one. I think this is really useful. I did something similar when I advocated for a change some years ago in our Faculty from ‘study skills’ to ‘academic development skills’ subtle but a powerful shift in terms of perception. . So is it the case that you assume all students to be the same, and would achieve the same outcomes across the board if it were not for your institutional practices?